Let your students work beachside or fireside. If you’ve got an interactive whiteboard or projector and you haven’t tried classroom screensavers, what are you waiting for? On those cool, fall days when the school heater won’t kick in, throw a crackling fire on your board for your morning meeting. 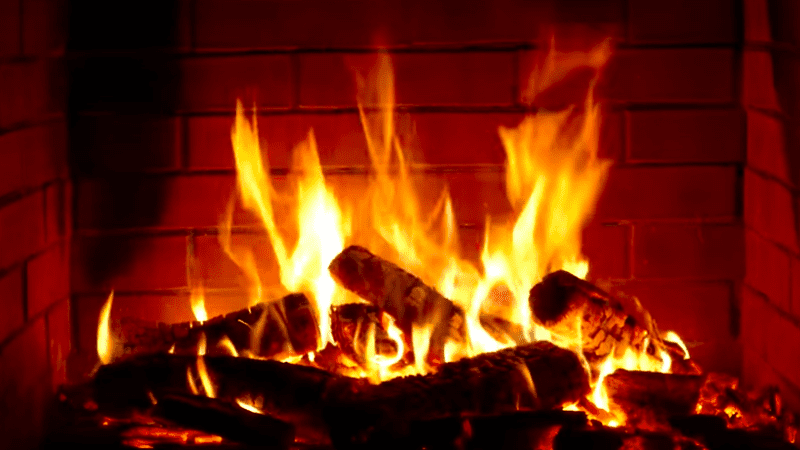 Kids will come running, and guaranteed, whether they’re first graders or fourth graders, someone will hold out their hands to the screen and claim they feel heat from the fire. And then they’ll all try it. But they’ll also sit quietly by the fire and listen to you read. Here are a few of our favorite classroom screensavers. Choose your faves and be sure to click off the ads before you let them run in your room. 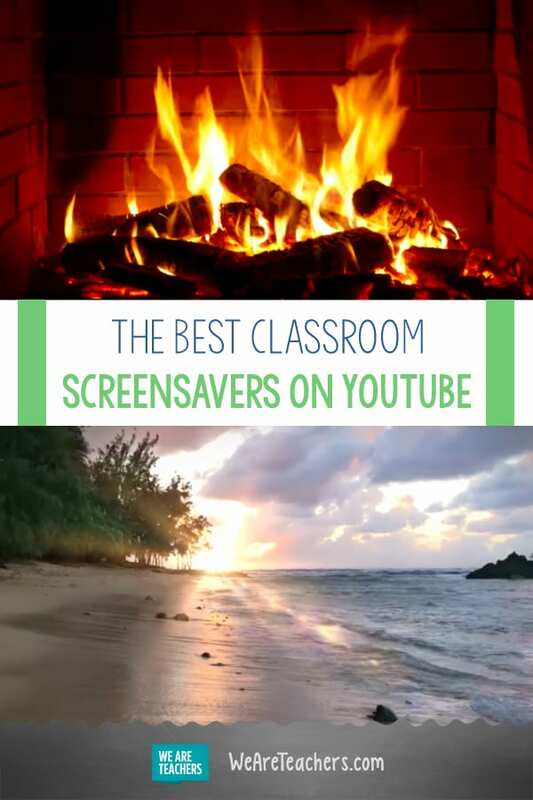 Psst … follow our Classroom Screensavers playlist on YouTube so you have all of these great screensavers—and more!—at your fingertips. Sit on your rocker and call your students to the carpet for a cozy read aloud. We like the aquariums that run with natural sounds instead of relaxing music, but you do what works best for your students. Students will be blown away with the awesomeness of this screensaver. Not really—but it is pretty relaxing. Powered by EXPLORE.org, this panda cam is a livestream of the pandas at Wolong Grove in China. It’s a student favorite (who doesn’t love pandas?! ), but because it’s a livestream, you really have to play this when you can actively monitor it. After all, they are animals, and animals can be pretty unpredictable. Let your students work to the sounds of birds singing and in the shade of a few huge trees. When life in the classroom makes you feel like you couldn’t be more stressed out, it’s time for some sand and surf. No umbrella drinks served here, but you won’t even need one with the peace that this video will bring you. Your students may spend the first few minutes searching for Nemo, Crush, and Dory, but that’s okay. They will soon find new favorites and will grow to appreciate working or reading alongside new fishy friends. On hot days, when everyone is feeling uncomfortable in a sticky, muggy classroom, I like to put on a blizzard screensaver to “cool” us down. It’s hard not to feel peaceful and serene when working near a forest river. On dark and dreary days, this blue-sky-and-fluffy-clouds screensaver will bring a little brightness to the classroom. What are your favorite classroom screensavers? Don’t forget to follow our favorites on YouTube and come and share yours in our WeAreTeachers Chat group on Facebook. Plus, must-watch TED Talks for students.